Lodema Utton WORCESTER — Lodema Utton, 94, formerly of Worcester and Pioneer Apartments and most recently of Alabama, died on Dec. 26, 2018, in Mobile, Alabama, with her daughter, Barbara, at her side. 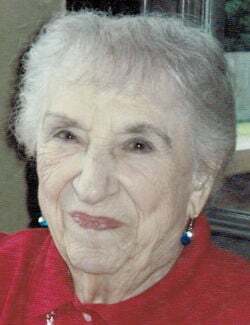 She was born Feb. 13, 1924, in Northfield, the daughter of Howard and Mildred (Adams) Austin. She attended Northfield Public Schools. In April 1942, she married Ernest Colby Sr. He predeceased her. She later married Lancer Utton on June 17, 1955, in Montpelier. Mr. Utton predeceased her on Oct. 19, 1991. Lodema worked for Sprague Electric in Barre for 30 years and retired as an inspector in 1978. Lodema’s interests were crocheting, knitting, cooking, reading and caring for family and friends. Survivors include her children and stepchildren Barbara Hartman and husband Jeff, of Mobile, Donna Keough, of Montpelier, Judy Colombo and husband Harry, of Montpelier; daughters-in-law Patricia Utton Woodward, of St. Albans, and Gloria Colby, of Montpelier; several grandchildren, great-grandchildren; many nieces and nephews. She was predeceased by a son, Ernest Colby Jr.; a stepson, Robert Utton; her siblings Raymond Austin, Fred Austin and Leona Hemenway; and grandson David Audy. A memorial service will be held at Guare and Sons, 30 School St., Montpelier, on May 18 at 11 a.m. Memorial contributions in Lodema’s name may be made to Central Vermont Home Health and Hospice, 600 Granger Road, Barre, VT 05641. Those wishing to express online condolences may do so at www.guareandsons.com.